I want more! 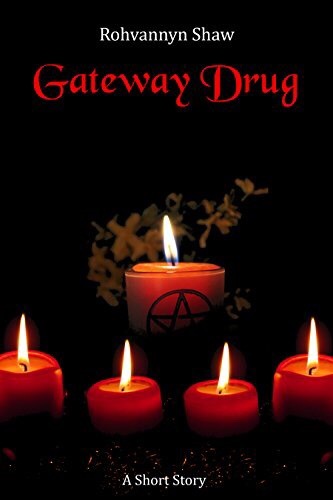 Gateway Drug is a fast, satisfying novella in which we meet Rowan, a young practitioner of paganism and witchcraft. Something foul is afoot in her neighborhood. Uniquely attuned to the energies around her, Rowan senses a connection between drug use and demon possession. When her best friend seems affected by possession, Rowan takes it upon herself to research and perform a ritual to exorcise the demon. Rowan is a fun character! She’s quirky, sassy, resourceful, and loyal. I positively loved her one-sided conversations. I mean, the girl talks to herself almost as much as I do! I really hope there’s a full-length book in the works for Rowan. If you’re on Kindle a Unlimited you can pick up this little gem for free HERE, otherwise it’s well-worth the 99¢ price tag! What a lovely surprise! Thank you so, so much for the awesome review!